Acoustic Pickup For Electric Guitar! This piezo replacement bridge acoustic pickup fitted to your electric guitar will create a host of unique hybrid electric/acoustic sounds. Used by artists such as Aerosmith, The Pixies and Peter Stroud the VT Powerbridge Pickup is one of the world's best acoustic pickups for electric guitar. 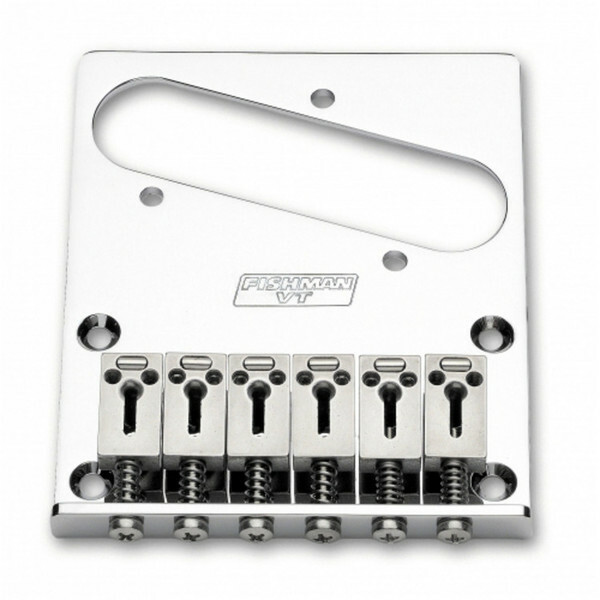 This pickup can be fitted to Fender® Strat®, Tele® and Gibson® Les Paul® guitars. A powerchip peamp is recommended, but not required, as is professional installation if you are at all unsure. To read more sabout the Fishman VT Powerbridge Pickup and its installation please download the PDFs below.